The Architecture and Design Library sits in the heart of Te Aro. Its large physical and online collection serves the Architecture and Design Faculty. 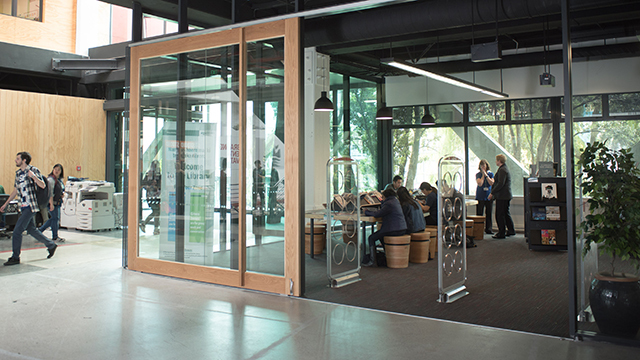 The Architecture and Design Library is located on the far side of the atrium from the main entrance to the Te Aro campus building. 2 group study rooms are available for student use and can be booked through the Group study room booking page. Photocopiers/printers are available by the student computing room and opposite the staff workroom. Research assistance and help with using the Library is available from the staff service point near the Library entrance. A self-check-out machine is located near the service point. A Library teaching and student computing room containing 23 computers, is available for student use and booked library classes. The University wireless network may be accessed throughout the library. Power points are available for plugging in laptops. Student Learning drop-in clinic on Tuesdays from 2pm-4pm. After 6pm on weekdays, all day on weekends and public holidays, access to the Te Aro campus is by swipe card access (for current students and staff). See our opening hours for the year. The Library's collection, selected to support the teaching and research of the Faculty, comprises roughly 35,000 books and 550 journal titles and a large collection of multimedia resources on architecture, design, and building science subjects. New resources displays are on display at each Library, showcasing recent additions to our physical collections. These displays are changed weekly and items can be borrowed immediately. 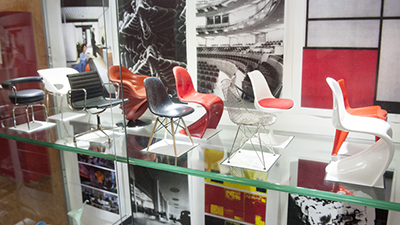 The Library has the Vitra chairs collection on display. Check out these great miniature chairs, that are not only to scale but use the same materials as the originals. These can be viewed in the display cases in the blue zone. Closer viewings can be arranged. 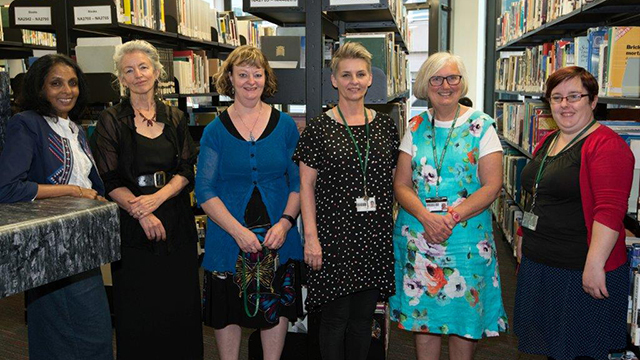 Subject Librarians provide specialised research support to staff and students. Contact them to arrange a one on one session.